I don’t wheel out ‘incredible’ too often as music is a personal thing and what has me dancing around the warehouse and screaming WTF/OMG/FFS may leave others twiddling their thumbs and waiting for the next Tim Tam & the Turn Ons 45 to come alongThis then is not for all. However, for those who like to face the real roots of soul minus their under armour, come in friend, here’s a live on. “Don’t” is one of those sides that is so good, so soulful, I’ll wager it’s never had an airing at a venue. If it has, well, fair play to anyone who has championed it. It’s a staggeringly good midtempo side that defies a real terminology being attached as it isn’t Northern, Crossover or funk but just plain fantastic soul. If this had turned up by some unknown on a obscure label, there would be knicker wetting from here to, well, at least Goole. And, just to gild the lily, what do we have on the flip? An incredible (see) Deep opus that is e genre defined. Boy, I envy anyone who has not heard this they’re first toe in the water. A ‘lost’ Thorne 45. 1st up is the Crossover builder that pushes the mercury ever higher up the thermostat into a great ‘call and response’ finale. I used to wonder why some sides from this era didn’t kick on and become more popular, in hind sight, I think some, like this, are actually ‘too soulful’ and not instant sing-a-long winners. Great soul though all the same. The flip is just soul ballad heaven. From the horn blasted intro and the 2 singers coaxing each other on, it spirals into a vocal sparring match where blows are thrown and received. I envy you the thrill of hearing this for the 1st time if you’ve not encountered it before. Remember hearing this on a tape in the late 70s and it taking me about 5 years to find one. Happy days. Always thought it too funky and in your face for many Modern collector’s but those days seem to have slipped away. Great beefy vocals and lyrics that are still potent today. She ended up at Malaco at the back end of her career and made some really good sides, however,the bone crushing epicentre of her out put is this, quivering studio wrecking Deepie. The final minute of this should be played to every ‘new’ singer with the instructions, this, this is how you execute a song. of the year (09). A work of sheer genius.To start a record at the hightest possible level of intensity you think possible, and then to gatecrash through the gears, each time lifting the whole thing, production and all, onto even more intense, more frantic footing. Boy that is genius. Forget Bill’s big jumpers (Bill, you live in L.A. what the hell is the big jumper thing??) and his “Lovely day”, this is full on, head banging up-tempo soul at it’s strung out best. Even the strings, darting by you at ever increasing intensity sound like a runaway NY subway train. The flip is the ‘paranoid’ soul song and one of the best songs of the 70s.“A man we met just tried to stare me down, and when I looked at you girl, you looked at the ground..”. They don’t write them like Th…and all that. (Aside. This isn’t pleasant Bill from his hits; this is angry young Bill, dripping with soul and spitting out venom. Comparing his later hits to this is like judging Sam Dees on the strength of “Row, Row you boat”. Nuff said. Clarence Mann “Have faith in me”/ “Man’s Temptation” (T&M)Mann’s waivering and trembling timbre has blessed some fine songs over the years on a variety of indie labels including Bama, California Gold and notably, Spirit, which cast out to an ungrateful world his only LP. 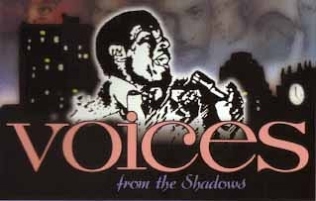 As the lead vocalist of True Image he retained the same gusto and rugged enthusiasm as his solo work and the fact I recently parted company with the Super Smash45 he record within True Image, “I’m not over you yet” was simply because as a pleasant sing-a-long disco records it fine, but it didn’t really come close to the group’s “It ain’t fair” (Glades1754) or “It’s only a matter of time” (Juana 1949) 45s as a soul record. One man’s junk and all that. However, for Mann’s pinnacle as a performer to date, go back to his inaugural release, this stunning, twin-edged vinyl sword from October 1973. Two simmering sides that must have rated as one of the best ‘non-hit’ release of the years- these really should be up there on all deep soul fans’ shelves or ‘wants’ lists. “Man’s Temptation”, a tremulous but lazy toe-tapper with horn supplements that dig and poke over an organ, percussion, bass and strings but centre stage is Mann’s bull-necked, gritty pleading on is Curtis Mayfield compilation that calls for forceful lead and slightly mocking male back-ups. A fair hit in 1963 for Gene Chandler, Mann exerts his own swirling brand of soulfulness over the proceedings and if such underground classics from ’73 like Robert Dobyne’s “Spent a lot of years (Loving you)” (Kwanza 7714) or Pep Brown “Is it all over” (Polydor 14176) give you a lasting rush, then you need this Alabama indie, fast. Not a prolific writer, the backbone of mann’s output-and True Image-eminates from the likes of Joe Shamwell and Tommy Tate, Fredrick Knight, y’know, the top graduates from the Southern School of R&B writers, however, “Have faith in me” , published via Rick Hall, does allow some elasticity into the thought line- why didn’t he write more? Ponderous, tinkling piano fills lay like morning mist over the same formula of instruments used on “Temptation” as Mann builds the song with a ‘lump-in-the-throat’ tenacity that perfectly catches the mood and subject matter, a gentle trickle of vibes just detracts from an organ stewing in sentiment and the whole recording is a real thoroughbred. Though probably not on catalogue anymore, Expansion issued a 12’ by Mann in 1986, a version of the Bell/Hurt oft-covered classic “I be around”. It’s likeable enough but to hear Mann on a slightly more pacy item than the T&M 45, a must have is “Curtains up” from his Spirit LP “Clarence Mann”. Even allowing for the atmospheric ‘break’ in tempo which, whilst lengthening the odds on modern soul spins, are a masterpiece in arrangement by the gifted Paul Riser. A more obvious choice from the same LP is “Different kind of love”, but ballads like “You can’t deny me” and “There’s only room for two” are really the vein in which Mann excels.